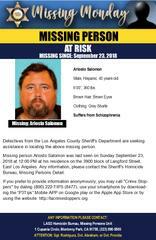 Los Angeles County Sheriff’s Department Missing Persons Unit detectives are asking for your help in locating Ariosto Salomon. He’s a 45 year-old man who has been missing since September 2018, in East Los Angeles. 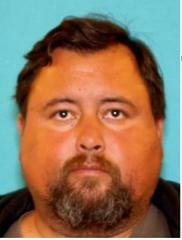 Mr. Salomon is 6’00” tall, approximately 360lbs, brown hair and brown eyes. He has not been seen or heard from since September 2018.